There's no other way to say this. I am unashamedly a foundation collector and have no real reason to justify this weird addiction to this single makeup product. Regardless of what good things I may be using or claiming to have a found a favourite, the immediate attraction when a brand new drop hits the new arrivals page is like nature's calling. On the flip side, this means I actually have a collection video to show you because the average person certainly doesn't own 15 foundations...and counting. ...and of course just in case you're looking for more skin tone matches, I have a few other brand colours listed under the My Stats tab at the top of the page. Over the years I've used a fair share of both drugstore and high end offerings but sometimes you just have to admit that drugstore shades are far and lacking. 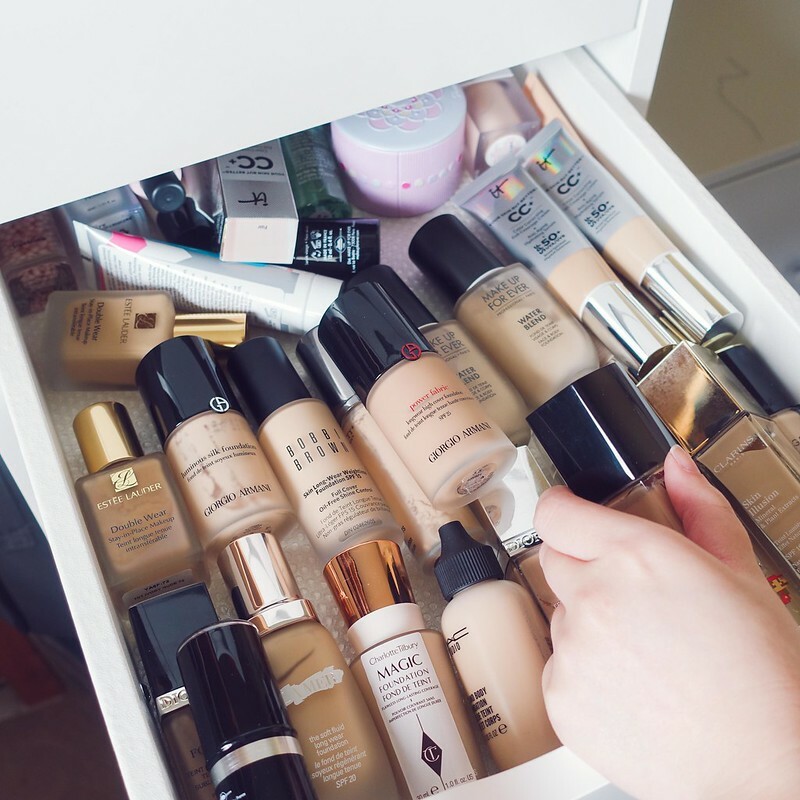 If you're also a self proclaimed foundation collector, I'd love to know your favourites for your skin type!